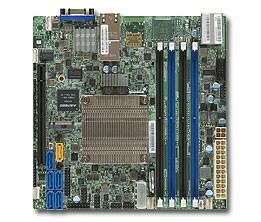 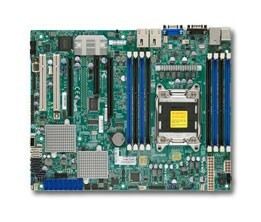 Supermicro first Intel® Xeon® System-on a-Chip (SoC) D-1500 Family solutions. Offer infrastructure optimization, by combining the performance and advanced intelligence of Intel® Xeon® processors into a dense, lower-power system-on-a-chip. 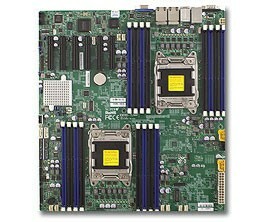 The Supermicro X10DRX motherboard supports dual E5-2600 v3/v4 processors, 16 DIMMs, 10x PCIe x8, 1x PCIe x4, 10 SATA ports and dual GbE. 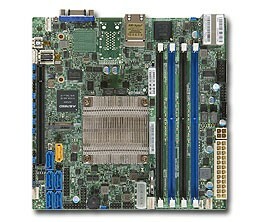 Supermicro's X10SDV-TLN4F uses Intel's first Xeon System-on a-Chip (SoC) D-1500 Family solution, offering infrastructure optimisation by combining the performance and advanced intelligence of Intel Xeon processors into a dense, lower-power system-on-a-chip. 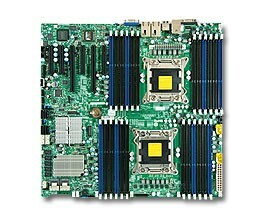 Supermicro's Dual processor Socket R designs feature the Intel® C602J embedded chipset which support the Xeon® E5-2600/1600 and E5-2600/1600 v2 family of high performance processors. Designed with performance, reliability, and long life in mind Supermicro's single processor motherboards are the perfect solution for embedded applications such as medical imaging, scientific equipment and industrial automation. 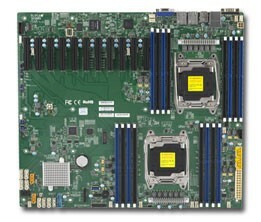 Supermicro's Dual processor Socket R designs feature the Intel C602J embedded chipset which support the Xeon E5-2600/1600 and E5-2600/1600 v2 family of high performance processors. 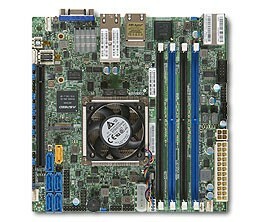 Designed with performance, reliability, and long life in mind Supermicro's single processor motherboards are the perfect solution for embedded applications such as medical imaging, scientific equipment and industrial automation. 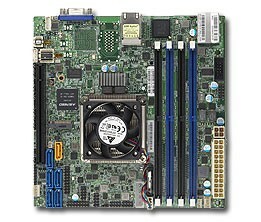 Designed with performance, reliability, and long life in mind, Supermicro's single processor motherboards are the perfect solution for embedded applications such as medical imaging, scientific equipment and industrial automation.